We Buy Used Cars In Honolulu - No Hassles, No Headaches! We Buy Used Cars In Honolulu – No Hassles, No Headaches! When you’re ready to sell your used car, the last thing you want is a hassle. Isn’t there an easy way to turn your used car, truck, or SUV into cash without a bunch of red tape or jumping through hoops? Perhaps you’re in the military and being deployed, are leaving the area, or simply have a vehicle that’s in good running condition, but that you no longer have a use for. The reason really shouldn’t make any difference, and is nobody’s business but yours! At CarMark Hawaii, we buy used cars in Honolulu and make it easy for you to transform your car into cash – without requiring that you buy a new car or trade up. We’re not into “tricky” used car salesman gimmicks, we just offer an easy, fair deal when you’re ready to get rid of a vehicle and don’t want to deal with the usual headaches in the process. Maybe you want to sell your used car, but you’re not sure how to go about it or even if it’s possible because you haven’t paid off your bank loan. In most cases, we buy used cars in Honolulu from those with an outstanding balance; it all depends on how much you owe and other factors. The best way to determine if we can work out a deal is to come in or give us a call! Unlike other car dealerships you may have dealt with, you’ll never get any pressure to trade in your vehicle for another one. That’s not how we operate; in fact, our primary focus is buying used cars, not trying to sell to someone who has no interest in getting a newer model. We do have a few stipulations, but overall it is an easy process to turn your car, truck, or SUV into cash. As long as your vehicle has no structural frame damage, is not a salvage title, and has 100,000 miles or less, chances are we can strike a deal today! We won’t make you wait for payment, either. 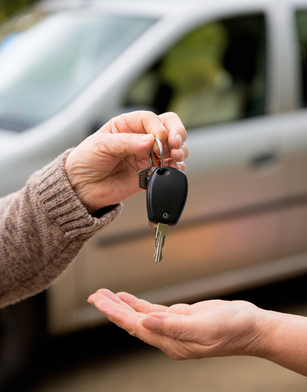 In the majority of cases if there are no unforeseen issues, we’ll trade you cash for your used vehicle the same day. You can get cash on the spot without any hassles. At CarMark Hawaii, buying used cars from those in the Honolulu area is what we do, plain and simple. Call us first, and avoid all of the headaches and hassles you may encounter with other dealers.